Spend RM30 and above in a single receipt. Fill up the contest form & submit! * Guaranteed winners at each branches! 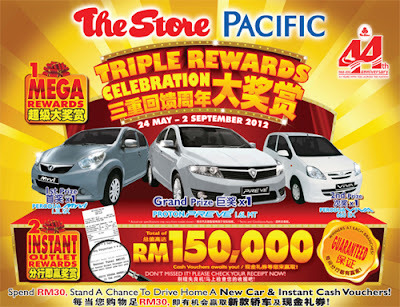 View the poster of The Store Pacific "Triple Rewards Celebration" contest for more details. Turn everyday needs into extraordinary rewards!